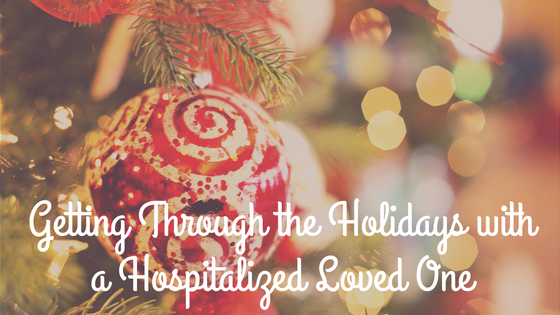 Many of us know someone who will spend this time of year in a hospital, whether it’s a friend, neighbor, or family member. 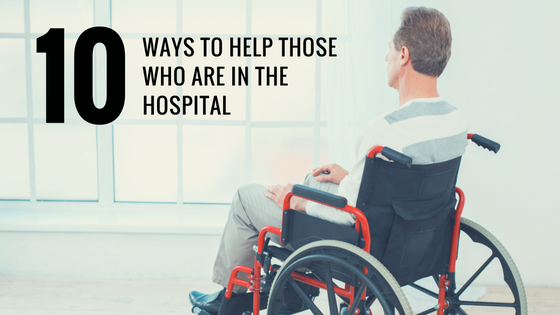 While they would obviously rather be home with family, there are many things you can do to bring them cheer while making their hospital stay more positive and meaningful. Here’s a look at some of the ways you can bolster a patient’s spirits while providing comfort during days otherwise filled with doctor visits, treatment, preparing or recovering from surgery, and more. There’s probably nothing more important that you can do for a patient than spending time with them. Your presence will help the time go by more quickly for them while easing their anxieties and fears. And remember, laughter helps the healing process, so don’t leave your sense of humor at home. Gift-giving can be a great source of joy, and giving gifts to a friend or family member who’s in the hospital is no exception. It’s best if you give a gift that they can use such as an e-book reader or iPad. Another great idea is to give gifts to their family members, such as hospital parking passes, or a few nights stay at a local motel if they’re from out of town. 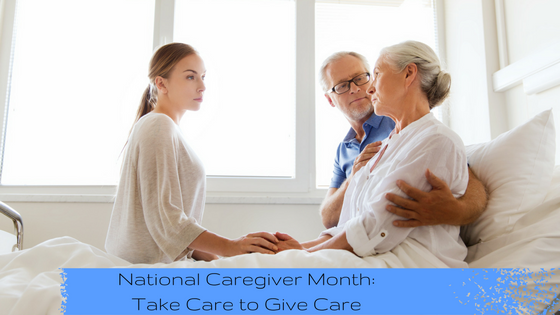 While your friend is in the hospital, things at his or her home may be left undone – such as taking out the trash, getting the mail, feeding their pets, or watching their kids. You can even run their errands and take their children to lessons, sporting events, and school or seasonal parties. You can make their hospital room more enjoyable by stringing colorful lights and supplying other festive decorations. You can also gift wrap the door with colorful paper and ribbons, or hang cards around the room. Homemade cookies, baked goods and other treats can help lift a patient’s spirits. If a patient has a close friend or family member who lives far away, you can set up a Skype visit between the two. Sharing read-aloud stories is a great way to lift the spirits of hospital-bound children. You can watch movies on a variety of digital devices these days, so schedule a movie-watching session with your hospitalized friend. Humorous movies will especially help lift their spirits. Most patients have plenty that they want to talk about when they’re in the hospital because, for many of them, being there is a new experience. You’ll help them feel better if you allow them to share their experiences without overdoing it with your stories and concerns. Do you have a musical talent? Or, a group of friends who you like to play music with you? With the hospital’s permission, of course, you could sing in your friend’s hospital room or ask the floor nurse if you can play a mini-concert in the hallway for all patients on the floor. Over 750,000 people suffer a stroke each year in the United States, and quality physical therapy and rehabilitation are vital after the stroke to manage residual disability. Studies show that in-patient rehabilitation facilities are more effective in treating patients recovering from strokes. In May, the American Heart Association (AHA) and the American Stroke Association (ASA) released guidelines for rehabilitation after a stroke. The ASA strongly recommends that patients receive treatment at an in-patient rehabilitation facility (IRF) whenever possible. Treatment in an IRF produces enhanced functional outcomes with a shorter length of stay than treatment at other facilities, such as a nursing home. A patient in an IRF receives at least three hours a day of rehabilitation from physical, occupational, and speech therapists. Nurses are available around the clock, and doctors usually visit on a daily basis. Being treated by a team approach also helps the patient understand the importance of their rehabilitation during the early recovery period from their stroke. Also, patients benefit most from the comprehensive, goal-oriented rehabilitation programs that IRFs provide. The fact that stroke patients have better overall outcomes and rehabilitation success in IRFs than in other facilities has been proven in studies for at least a decade. A 2006 study showed that IRF patients at the six-month mark of recovery had fewer ADL (activities of daily living) difficulties than patients treated in other facilities, as well as better functional improvements overall. Additionally, patients who suffered severe motor disabilities experienced better overall recovery and function through treatment in an in-patient facility. IRFs often have access to the latest technology and equipment used in stroke recovery therapy. An example of new technology includes constraint-induced movement therapy, which is a way of forcing intensive skilled use of upper limbs that have been weakened by a stroke. 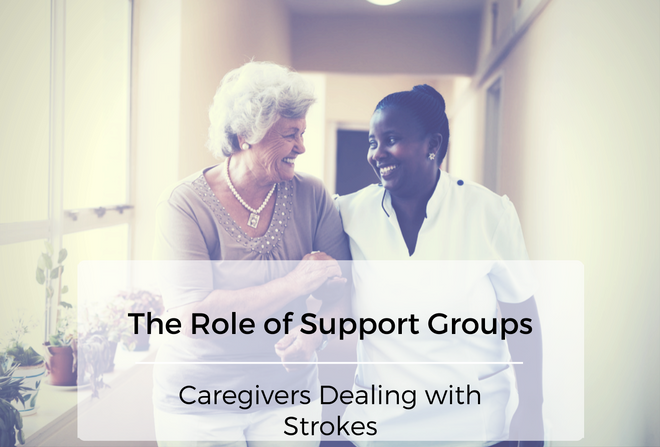 IRF staff members are trained to assist both the stroke patient and his or her caregivers in developing a structured program for when the patient returns home. This includes education about making changes in the home so that it’s safer, such as minimizing fall risks. Education and training on how to safely use assistive devices such as walkers, wheelchair, and canes. An individually-tailored exercise program so patients can safely continue their cardiovascular and overall fitness after their formal rehabilitation is complete. The bottom line, experts say, is that a patient recovering from a stroke can fulfill their potential through a coordinated effort between a diverse team of professionals – such as that found at an in-patient rehabilitation facility – as well as the patient, their family, and caregivers. Dec 05 Comments Off on Is Your Healthcare Provider Joint Commission Accredited? 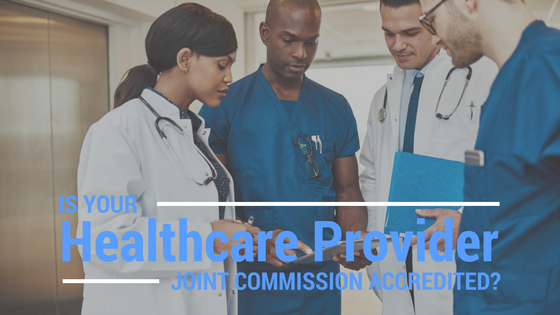 Is Your Healthcare Provider Joint Commission Accredited? Choosing the right healthcare provider for you and your family isn’t something to be taken lightly. After all, you’re seeking the best quality care and highest patient safety you can find for you and your loved ones. One way that you can ensure the provider you choose meets the highest standards is by checking if it has Joint Commission accreditation. The Joint Commission evaluates and accredits thousands of healthcare organizations in America. It’s independent, non-profit, and the nation’s oldest and largest accrediting (and standards setting) body in health care. The Joint Commission consists of a 32-member Board of Commissioners made up of physicians, nurses, administrators, quality experts, educators, and a consumer advocate. It employs approximately 1,000 people in its surveyor force and at its offices in Illinois and Washington D.C.
Joint Commission accreditation can be earned by a wide variety of healthcare organizations, including nursing homes, hospitals, doctor’s offices, providers of home care services, and behavioral health treatment facilities. A healthcare organization must undergo a survey at least every three years to earn The Joint Commission’s highest standard – the Gold Seal of Approval. An organization that has earned accreditation from The Joint Commission is committed to providing the highest quality healthcare services. Joint Commission standards focus on strategies that help healthcare organizations improve their safety and quality of care on a continuous basis. These standards reduce the risk of error or low-quality care. Joint Commission surveyors are experienced professionals trained to provide expert advice and education during their on-site survey at a healthcare facility. Joint Commission-accredited facilities can attract qualified, quality personnel who prefer to work with an accredited organization. Also, accredited organizations provide opportunities for staff to develop their knowledge and skills. Accreditation is a prerequisite to eligibility for insurance reimbursements in some markets, as well as for participation in managed care plans or contract bidding. Choosing a healthcare organization that has earned accreditation by The Joint Commission is the best choice for you and your family for many reasons. You’ll feel confident in knowing that you’ll be getting the kind of quality, safety-first care that meets the highest standards. For many, a healthy diet and regular exercise are self-prescribed ways to feel better. But for people with diabetes, diet and exercise often are medically recommended to help treat the disease. Diabetes is a disorder where either the body does not produce enough insulin or the cells in the body do not recognize the insulin. To understand diabetes, you first need to understand the role of insulin in your body. When you eat, your body turns your food into sugar, also called glucose. At that point, the pancreas releases insulin to open the body’s cells to allow the sugar to enter so it can be used for energy. But with diabetes, the system doesn’t work. Without insulin, the sugar stays and builds up in the blood. So the body’s cells starve from the lack of glucose. If left untreated, complications can develop with the skin, eyes, kidneys, nerves and heart. Treatment for diabetes usually includes diet and exercise – and medicine if sugar levels remain high after lifestyle adjustments. At rehabilitation hospitals, diabetic patients often are provided a medically supervised care plan that includes physical exercise and healthy eating strategies. Exercise helps control diabetes because it allows glucose to enter the cells without the use of insulin. It also can help lower blood glucose levels and blood pressure. In addition, exercise assists in weight loss and improves balance and energy levels. A combination of both aerobic exercise and resistance training has the most positive effect on blood glucose levels. Physical therapists can help individualize and supervise exercises that will be the most beneficial to a patient. They monitor the exercise program to ensure safety and progress, while improving and maintaining sugar levels. The exercise plan can be carried out at home after the individual leaves the hospital. A healthy diet also is integral to managing diabetes. How much and what types of foods are eaten affect the balance of insulin in the body and make a difference in blood glucose levels. Dietitians at rehabilitation hospitals can teach patients about carbohydrates in food, how it affects the glucose levels, and they provide practical strategies for healthy cooking and eating. Typically through rehabilitation hospitals, patients not only receive treatment, but are educated on how to manage the disease to the best of their ability in their everyday lives. This helps them to live as independently as possible. November is COPD Awareness Month, and it focuses on a disease that’s the third-leading cause of death in the United States. It’s also a disease that more people suffer from than ever before – while many others have it and don’t know it. Fortunately, COPD and pneumonia are manageable with the right health care approach. Moreover, identifying who’s most at risk for developing COPD is clearly important, as is educating family members and caregivers about the disease and its effects. COPD (chronic obstructive pulmonary disease) is a lung condition that affects a person’s ability to breathe. 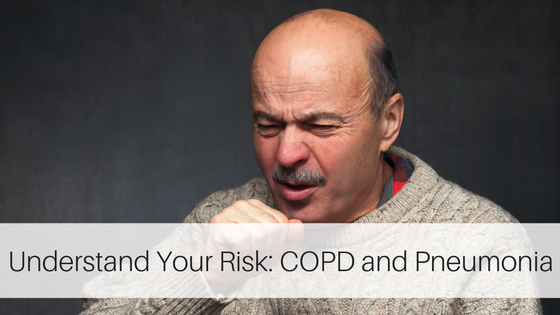 Many serious and life-threatening complications can arise from COPD, including pneumonia. Pneumonia is a lung infection that actually describes some 30 types of infections. It’s dangerous because it reduces the amount of oxygen in the body – sometimes greatly – and can be caused by viruses, bacteria, fungi, or inhaled particles or liquids. For COPD patients, life-threatening complications can develop rapidly and be fatal if not treated. People who suffer from COPD and other lung conditions are at a greater risk of developing pneumonia. If your physician suspects that you may be suffering from pneumonia, he or she may order a chest X-ray, CT scan, blood tests, and other tests to determine the cause of the infection. If it’s due to a bacterial infection, antibiotics will likely be your first treatment. It’s important to not only take antibiotics as directed but to take all of them. Halting your antibiotics can allow the bacteria to come back stronger than ever. Viral pneumonia will likely require antiviral medications, and your doctor may prescribe an inhaler or oral steroid. No matter the type of pneumonia, treatment must be immediate to prevent permanent damage to the lungs. Treatment may even include a stay in an intensive care unit, and a ventilator will speed oxygen to depleted cells, as well as eliminate excess carbon dioxide. Age. Most people who have COPD are at least 40 years old when they first notice symptoms. Long-term exposure to lung irritants such as secondhand smoke, chemical fumes and dust from the workplace or environment, and air pollution. Family history. People who have a family history of COPD are more likely to develop the disease, particularly if they smoke. 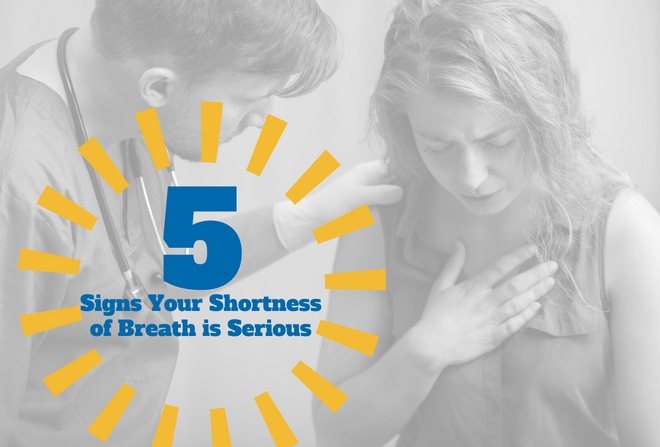 Shortness of breath that doesn’t improve but gets worse. A chronic cough. In the case of pneumonia, you may cough up a dark yellow or green mucus. Congestion that lasts for more than a few days. Fever, chills, and ongoing fatigue. At first, COPD may cause only mild symptoms, but symptoms grow worse over time. And severe COPD can cause other symptoms, such as a fast heartbeat, swelling of the feet, ankles, and legs, and weight loss. 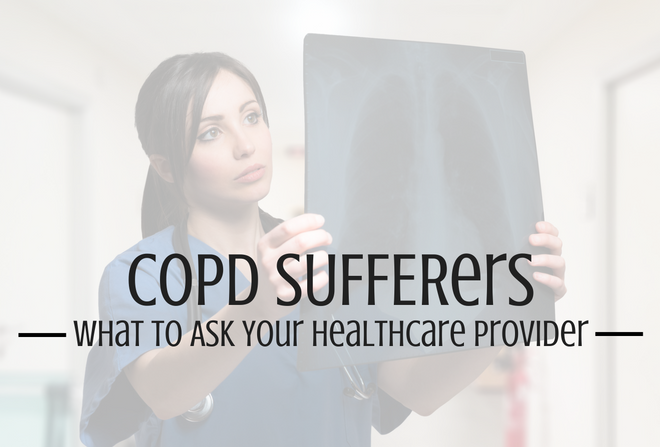 If you suffer from COPD, it’s crucial that you do everything you can to prevent pneumonia. The easiest thing you can do is get an annual pneumonia vaccine. Getting a yearly flu shot is also important, because illnesses like the flu can easily lead to pneumonia in people with COPD. And keeping yourself as physically healthy as possible through diet and exercise is another important preventive measure. There’s no denying that amputation or the loss of a limb is a life-changing experience. It not only involves a tremendous physical loss, but also can be emotionally devastating. If you’re facing, or already have had, an amputation, know that you’re not alone – there’s around 1.7 million people living with limb loss in the U.S. alone. Working with experienced professionals such as those at Ernest Health Systems who can help you through every step of the process – including prosthetic care – is vital. There are several options for post-operative care after you’ve had an amputation. In many cases, a rigid dressing is placed on the residual limb that protects the surgical site. A removable dressing can be taken off and put back on to allow medical staff to carefully monitor the surgical site. Another option is a post-operative prosthesis that’s applied in the operating room immediately after surgery. Studies have shown that patients who wear an immediate prosthesis feel more optimistic and tend to recover more quickly than patients who don’t. It’s an option worth discussing with your physician and prosthetist. Putting things in perspective is an important early step in the recovery process. That’s not easy after a life-altering event such as an amputation, but your struggles with grief and acceptance are perfectly normal. It’s important that your friends and family will also struggle along with you, and it’s important to enjoy every success and accomplishment on your road to recovery while not focusing too much on the obstacles. 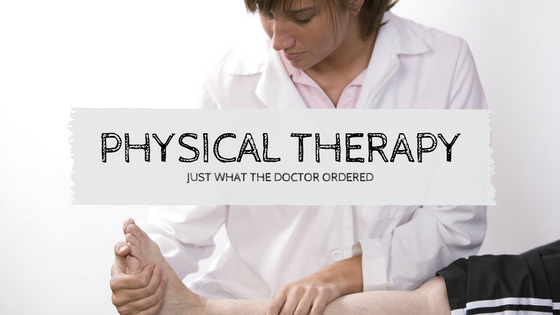 An important piece of your recovery is physical therapy. While it’s often challenging and hard work, physical therapy helps loosen the residual limb and increases muscle tone and coordination. It also helps keep joints flexible while teaching you how to use your prosthesis properly, particularly during daily activities. 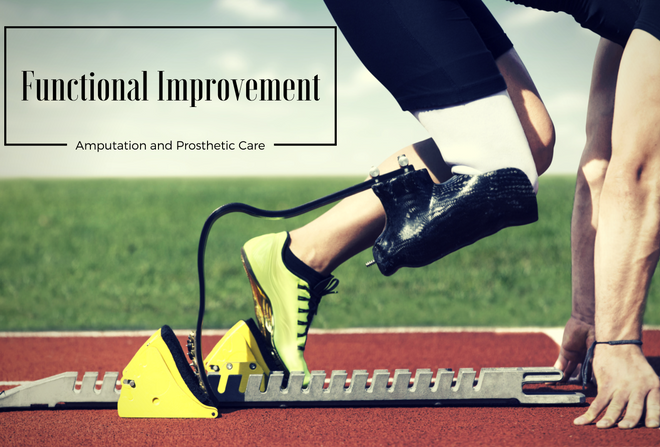 Quality prosthetic care is essential to your recovery. Your prosthesis is a sophisticated tool designed to enhance your activity level and independence. As time goes on, you will become more dependent on it. Here are some things to keep in mind in terms of caring for your prosthesis. Your prosthesis is a mechanical device that will sometimes require maintenance and repair. Visiting with your clinician at least once a year will help detect potential problems that can be resolved before your prosthesis becomes unusable. Your medical team will give you a schedule that gradually increases the amount of time you wear your prosthesis. Everyone’s situation is different, but most people start with a couple of hours a day before progressing to wearing it all day after a few weeks. It’s important to wear your shrinker or elastic bandage when you’re not wearing your prosthesis. Using an assistive device such as a cane during the first several weeks will help you gradually get used to placing your weight on the prosthesis. Remain physically active even when you’re not wearing your prosthesis. This will help build your stamina. The residual limb can be subject to perspiration because it’s enclosed in a plastic socket. This can be a source of bacteria and should be monitored closely; you can try sprinkling baby powder on it or apply over-the-counter antiperspirant. Your rehabilitation will be part of a process that involves a team of specially-trained people – including your physician, prosthetist, physical therapist, and other. This team will guide you and help you learn how to use your prosthesis correctly in a safe environment. Choosing the right rehabilitation hospital for yourself or a loved one is an important decision. You probably have plenty of questions to ask, as well as a set of criteria that must be met before you make your final choice. But your decision will be made easier if the hospital you’re considering has kept up with the latest technology. That’s why Ernest Health Systems are a great fit: they have the latest in rehabilitative technology that’s at the foundation of superior patient care. 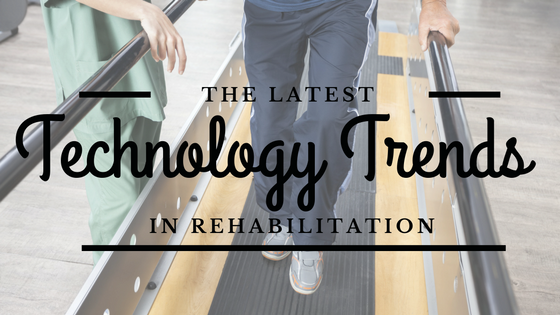 That technology includes LiteGait, Dynavision, and VitalStim Therapy. LiteGait creates an ideal, safe environment for treating patients with a wide range of impairments, and who are at different functional levels. How does it work? Through its unique harness design, LiteGait eliminates concerns for balance while training coordinated lower extremity movement, while also providing proper posture. The LiteGait system makes it possible to adjust the weight-bearing load on the weaker side of the body by either increasing or decreasing it. It also allows the technician to assist the patient’s legs and pelvis in helping to achieve proper gait patterns. LiteGait is used in an environment that’s free from falls. For patients, its benefits are many and include re-learning to walk with proper postures, and also beginning gait training earlier in the rehabilitative process. Moreover, it helps patients experience a sense of accomplishment. Dynavsion is designed for use in rehabilitation facilities, and is a device that improves patients’ visual and motor skills that have been affected by diseases or injuries. It also allows each patient to have their own personalized rehabilitation program that best suits his or her needs – a feature that separates Dynavision from other physiotherapy devices. Patients who use Dynavision can improve their peripheral visual awareness, hand-eye-coordination, visual attention and anticipation, as well as visual-motor reaction time. At the same time, it’s providing physicians and physical therapists with the necessary data to evaluate the patient’s gross motor skills, response to visual stimuli, and his or her ability to perform neuro-cognitive tasks. Dynavision can be used to successfully improve the abilities of patients who may have limitations from a stroke, spinal cord injuries, head injuries, amputations, and orthopedic injuries. Dysphagia, or trouble swallowing, is a common condition among stroke and brain injury survivors, and VitalStim Therapy has been proven effective in the treatment of it. VitalStim therapy involves external electrical stimulation that helps re-train the muscles needed to complete the swallowing process. Electrodes are attached to the patient’s neck and a small current is used to stimulate nerves. Over time, this therapy helps to gradually re-train the necessary muscles. In clinical trials, VitalStim has been shown to be two or three times more effective than traditional stimulation techniques. It’s clearly an important treatment for patients with dysphagia – in which symptoms can range from mild discomfort while swallowing to losing the ability to swallow. When a toddler or child falls, he or she is likely to just shake it off and keep moving. The same is true of many young adults. But when a senior falls, the consequences can be severe – including broken bones that lead to limited mobility and a downward health spiral. Worse, each year thousands of older Americans die as a result of breaking a hip. Finding a solution that helps decrease the number of falls for this segment of the population is clearly important. 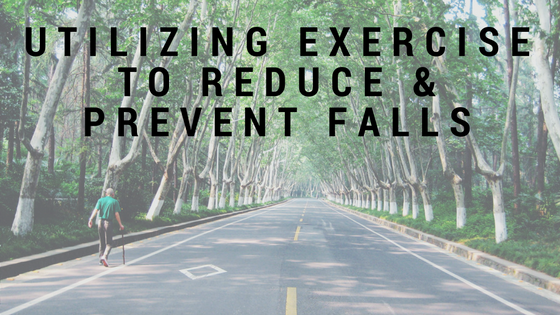 And one area that has proven to be successful in terms of fall prevention is exercise. Makes muscles stronger and more flexible. Stronger and larger muscles can buffer the impact of a fall and provide some protection to joints and bones. Combining exercise and balance training enables the person to have a faster reaction time, which is important in stopping a fall (by grabbing something) before it happens. Resistance exercises strengthen bones, making them more resistant to fractures in the event of a fall. There are a variety of exercises than can be done almost anywhere and at anytime that will help with fall prevention. Experts advise starting out with two or more days of exercise a week, and going slowly with exercises your doctor has said are right for you. Always breathe slowly and easy when exercising. Standing up straight with your feet together and arms at your sides, slowly lift your right leg off the floor. Hold this position for as long as you can, and then repeat with your left leg. Maintain good posture throughout this exercise and focus on a spot straight ahead. If you feel comfortable, you can even do this exercise while waiting in line at the store. Start by holding on to something for support of balance – such as the back of a chair – and, keeping your back straight and knees slightly bent, push up on your tiptoes as high as possible. Then slowly lower your heels to the floor. Repeat this 10 to 15 times. Leg extensions can make your thigh muscles stronger. Sitting in a straight-back chair with your feet on the floor, straighten one leg out in front of you as much as possible. Then lower your leg back down slowly. Repeat this 10 to 15 times with each leg. Stretching the back of your leg will increase flexibility and strength, while making it easier for you to get around. Sitting in a straight-back chair, place one foot on a stool in front of you. Straighten the leg that’s on the stool and then lean forward and try to touch your foot with your hand. Hold this stretch for 10 to 20 seconds, and repeat five times with each leg. Influenza is a serious, potentially deadly disease that affects countless people in the United States every year. And flu “season” can last a long time – beginning as early as October and lasting even into late May. That said, flu shots are of utmost importance when it comes to preventing the virus for people of all ages, including people 65 and over, who can account for up to 90% of all flu-related deaths each year. Getting an annual flu vaccine (either a flu shot or nasal spray vaccine) is the best prevention of getting seasonal flu and potentially spreading it to others. The more people that get a flu shot, the lesser the spread of flu in a community. It’s recommended that anyone six months or older should get a flu shot. The Centers for Disease Control recommends the injectable flu vaccine for 2016 and not the nasal spray vaccine. Both trivalent and quadrivalent vaccines will be available. The trivalent flu vaccines include a high-dose shot and a shot made with adjuvant – which helps create a stronger immune response – that is approved for people 65 and over. Quadrivalent flu vaccination includes an intradermal shot, which is injected into the skin and not the muscle and uses a much smaller needle. The intradermal shot is approved for anyone from 18 to 64 years old. Flu vaccines are effective because of antibodies that develop in the body shortly after vaccination. These antibodies provide protection against infection. 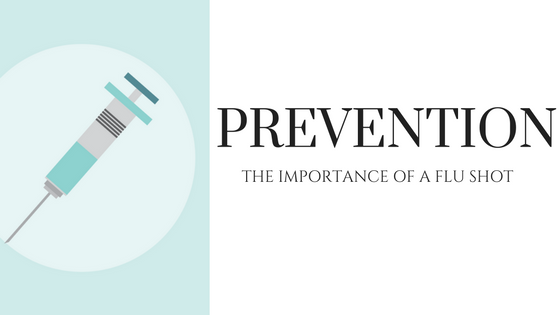 Both trivalent and quadrivalent vaccines protect against against the influenza A viruses H1N1 and H3N2, as well as an influenza B virus. The quadrivalent vaccine also protects against an additional B virus. Flu vaccines are often updated each year to keep pace with changing viruses. Again, the CDC recommends that anyone 6 months of age or older should get a flu vaccine every season. The flu vaccination is particularly important for anyone at high risk of developing serious complications from the virus. People who are 65 or over are considered high-risk because human immune systems weaken with age. People who are residents of nursing homes and other long-term care facilities. Household contacts and caregivers of people with medical conditions that put them at a higher risk for severe complications of the flu. There are many others who are included on this list, so make sure to check with your physician or the CDC website to see if you qualify for the high-priority list. With fall just around the corner, the importance of getting a flu shot for the 2016-17 season cannot be emphasized enough. Not doing so places your health – and potentially the health of others – at an unnecessary risk. Physical therapy helps people of all ages who have injuries, medical conditions, or illnesses that limit their day-to-day functioning. A physical therapy program can help you return to your prior level of functioning, as well as prevent further injury while improving your overall health and well-being. There are a variety of exercises and manual therapy techniques, including ultrasound, taping, and joint and soft tissue mobilization that can not only relieve pain, but also restore function in the muscles and joints. It can even prevent pain from returning. You may be struggling with walking and moving, or even just standing (no matter what your age), but physical therapy can definitely help. This includes strengthening and stretching exercises, devices that provide assistance such as canes and crutches, or by a proper orthotic prescription. Therapy can help you avoid surgery by eliminating pain and/or by healing an injury. If surgery is still required, pre-surgery therapy can help, because going into surgery stronger and in better shape can speed the post-surgery recovery process. Different sports can increase your risk for specific types of injuries – i.e., stress fractures for runners – and your physical therapist can design recovery or prevention exercise programs that enable you to safely return to your sport. One of the things your physical therapist will do is a fall-risk screening. If it shows that you are at high risk, your therapist will provide exercises that mimic real-life situations while increasing your balance. You’ll also be provided with exercises to improve coordination, or devices that assist you in safer walking. If you suffer from dizziness or vertigo, your therapist will show you exercises that will restore proper vestibular functioning. Physical therapy is often part of an overall diabetes management program. Exercise can effectively help control blood sugar, while people with diabetes often have problems with sensation in their feet and legs that the therapist can address to prevent further issues down the road. People who’ve suffered a stroke often lose some degree of function and movement. Physical therapy helps strengthen the weakened parts of the body while also improving balance and gait. Your physical therapist can also help you to transfer and move around in bed, which will make you more independent around the home. If your daily functioning is affected by heart and lung disease, you may receive physical therapy along with normal cardiac rehabilitation (after a heart attack or heart procedure). It can also help improve your quality of life through conditioning, strengthening and breathing exercises. Women have a number of specific health concerns, including issues involved with pregnancy and post-partum care. Your physical therapist can offer specialized management of issues related to women’s health, including breast cancer. Conditions such as arthritis, osteoporosis and joint replacement may develop as you age. Physical therapists are well-trained in helping patients deal with and recover from these issues. 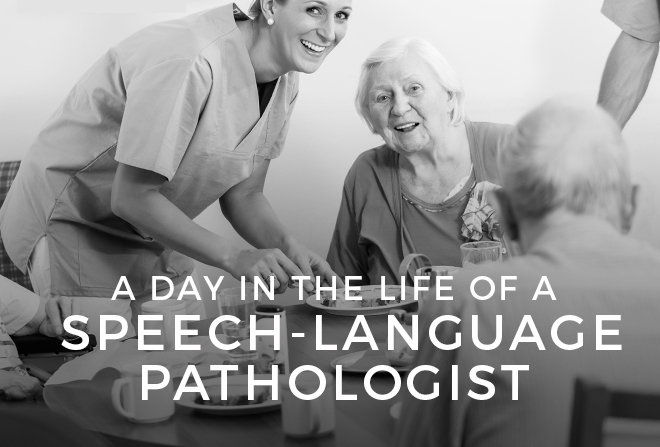 It can be difficult to fully describe the role of a Speech-language Pathologist, as the rehabilitative work they do throughout their days is extremely varied and complex. In order to give our readers a more accurate idea of what an SLP does, we asked one to tell us a little more about her patient work here at an Ernest Health Hospital, as well as walk us through her activities throughout the day. EH: Can you share with us what a typical day looks like for you? SLP: I get to work around 7 or 7:30 a.m. to help patients with using their safe swallow strategies during breakfast. I document daily/weekly progress notes during lunch and begin therapy again at 1:00. I have 2-3 sessions in the afternoon, and then I need to write daily/weekly notes. Part of my role in the afternoon is to look at the patients we will have in the evening and which therapists will be coming in for the evening shift and get the patients signed out to a therapist accordingly. Some of the things that I have to think about as I’m evaluating patients is: Are the patients sticking to their diet? Are they ready for advancement? How are they handling the diet? EH: What does the majority of your work involve at Ernest Health, and how would you describe the majority of the patients you work with? SLP: I provide individual sessions and group therapy sessions two days a week. The majority of my patients have cognitive impairments that limit their ability to make safe decisions. Stroke and head injury are the majority of the causes. EH: What treatments/therapies do you use to work with your patients at Ernest Health? SLP: For dysphagia (swallowing issues): I use myofascial release therapy and e-stim (electrical stimulation) modalities. Myofascial release therapy is a treatment for patients with dysphagia that aims to loosen up muscles in the cervical area to allow for more contraction in swallowing. E-stim modalities are used for neuromuscular re-education, which is a technique used to help the patient contract the muscles used in swallowing to teach the patient what it should feel like. E-stim machines can be used for a variety of purposes, though, and all depends on the settings (pain management, muscle contractions, etc.). One of our SLP’s main focuses is keeping the patient safe by educating them and family members on things like locking the wheelchair and using the call light for help. In addition to these practices, she also does her best to find fun and fresh ways to help retrain patients to their former levels of functionality. Using music therapy and technology like iPad games, for instance, allows the patient to learn in a way that feels less like work and more like recreation. Her empathy for the patients, dedication, and caring personality are shining examples of the qualities that Ernest Health values in its team members. EH: Why did you choose Speech-Language Pathology as a career? SLP: I chose to be an SLP because I wanted a career that would make a positive impact on someone’s life. My first semester in undergrad, I, by chance, saw a class schedule with a class about Communication Disorders. I decided to take it and knew from the beginning this was what I wanted to do with my life. EH: What hobbies or interests do you have? SLP: I teach fitness classes before and/or after work. My alarm usually goes off at 4:30 so I can fit in my hobbies. My husband and I enjoy traveling, skiing, and fly fishing together. 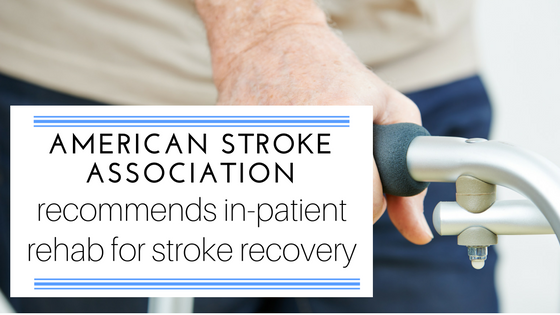 Stroke recovery is a complex process that varies from one patient to the next. Because of this, speech-language pathologists play an important role in a stroke patient’s rehabilitation. Last week, we discussed how a speech-language pathologist could help a stroke survivor regain their ability to read. However, with one fourth of stroke patients suffering from language impairments, an SLP usually plays a sizable role in most stroke patient’s recovery. Here are a few of the responsibilities you can expect them to take part in during the recovery process. Because every stroke is different, and every patient is different, it is only natural that every recovery plan is different as well. Speech-language pathologists work with their inter-professional team but also work with a patient’s case history and their family to come up with a plan that will work for every individual patient. Creating a successful rehabilitation plan requires an SLP to know the patient medically and personally. A speech-language pathologist’s close involvement throughout the treatment allows them to alter the rehabilitation plan if necessary. They help patients relearn how to communicate. Depending on which area of the brain is affected by the stroke, patients may either have difficulty communicating their thoughts through words or writing, or have difficulty understanding spoken or written language. Either way, an SLP’s education equips them with the ability to help both of these conditions. They use different techniques and exercises to help patients circumvent their disabilities such as making symbol cue cards or simply repeating phrases with their patient. All of this is done with the end goal of helping the patient relearn their communication skills or learn new methods of communicating. They help patients with self-awareness. Although speech and language are in the title, speech-language pathologists help with much more than that. SLPs also help stroke patients regain their self-awareness. This can mean anything from helping a patient learn that they don’t swallow all of their food during meals, to learning how to comb their hair. A speech-language pathologist may set up different daily challenges such as basic cleaning, to personal grooming to help a patient recover their self-awareness. These skills will help a stroke survivor’s day to day life become less frustrating as their recovery goes on. 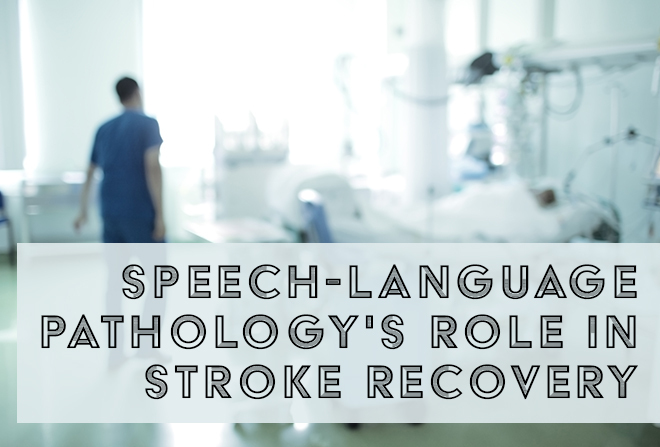 The extensive duties of a speech-language pathologist in stroke recovery differ with each patient, but for every patient they make an incredible difference. We are committed to bringing the best care to our patients, and because of that, we appreciate the speech-language pathologist on staff! When one experiences a stroke, many parts of the body are often affected, requiring physical therapy and exercise in order to reach a previous level of mobility. What this also means is that, in order to recover the energy used in various therapies, patients must spend a lot of time resting. In these periods, boredom and depression can settle in, making pleasurable distractions, like reading a book or magazine, a welcome escape. Unfortunately, a frustrating discovery that many stroke patients experience is that reading (something they were likely proficient at before) has suddenly become a struggle. Words either seem to disappear or escape their grasp, and sentences are overwhelming. Reading difficulties after a stroke are often referred to as “alexia” or “acquired dyslexia.” When the left side of the brain experiences damage or trauma, it is common for language abilities to suffer due to the fact that most language functions occur in the left hemisphere. Reading impairments, along with the damage to language function, are also commonly caused by visual disruptions. Symptoms such as double vision or blind spots in words and sentences make even silent reading a struggle, and the act of communicating it verbally can seem almost impossible. Because Alexia occurs after a patient has fully developed their reading abilities, there are usually remnants of language skills still functioning. 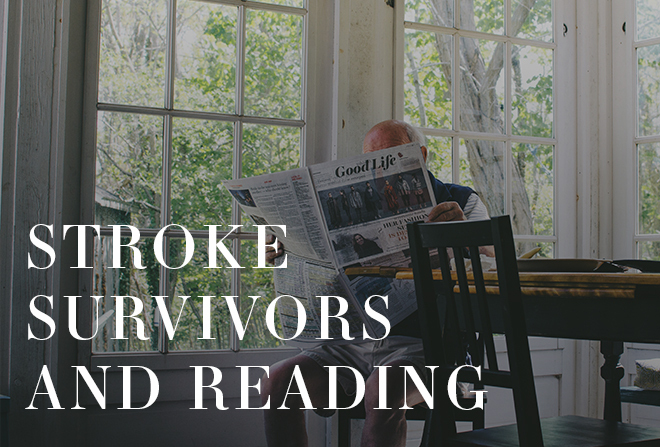 For example, many stroke survivors find it easier to read silently to themselves than to read aloud. Word retrieval is an incredibly common difficulty among stroke survivors, so coupling the act of visually comprehending with audibly reading can cause stress and confusion. Depending on the extent and location of the damage, however, even silent reading can become severely impaired. Words that aren’t easily sounded out based on their letters, or those that are abstract in nature, commonly create frustration for stroke survivors. Couple listening with reading. One way to enjoy a favorite form of entertainment and work toward the correction of reading impairments is to pair media with printed words. By watching a TV show or movie with the captions turned on, a patient can experience the words through sight and sound simultaneously. Similarly, reading a physical book while listening to that same book on tape will provide an opportunity to match the look of words to their sounds and pronunciations. Another way to work around alexia is to simply remove the written part of a task to gain more independence. A task like visiting the grocery store in order to stock the pantry can become very overwhelming for someone who is having trouble reading. Rather than writing out a shopping list, many stroke survivors have found that creating a list using product logos and pictures allows them the independence to accomplish this previously simple task. Talk to a Speech Language Pathologist. An SLP is trained to, among many other things, diagnose cognitive problems caused by strokes. By getting a formal diagnosis, an SLP will then be able to work with a patient and his or her needs, so that they may come up with a personalized treatment plan. The SLP will use exercises, such as sounding out and naming letters, to help a stroke survivor work through their reading impairment and make progress toward reaching their previous level of ability. The possible outcomes of poor circulation in diabetics can be quite scary, but the reality (as it is in most diabetic complications) is that the more dramatic results can often be staved off by positive lifestyle choices. The act of exercising your body is beneficial in countless ways, including increased blood flow through the dilation of the blood vessels. When you exercise, vessels open up to allow more blood to feed the muscles with much-needed oxygen. For someone suffering from poor circulation, this provides a much-needed boost of blood to parts of the body that may have been desperately needing it. While there are certain full-body exercises that are especially good for circulation, such as Yoga and swimming, even a short-but-brisk walk will provide the extremities with more blood. Exercising on a regular basis will allow your body to replenish limbs with blood frequently, and help prevent complications like sores and ulcers that are difficult to heal. When dealing with poor circulation, it is incredibly important to speak with your physician about your exercise options. He or she might have exercise plans that are specific to your circulatory needs that will better aid you in your recovery. 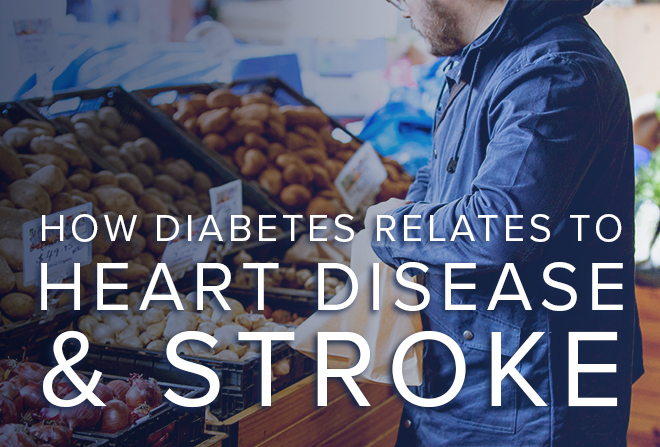 Along with exercise, consuming foods that help control your blood sugar (especially those that inherently improve blood flow themselves) can keep the symptoms of poor circulation at bay. High-saturated fat, high cholesterol, and high-sugar foods all have the tendencies to clog arteries, and adding the blood vessel-damaging power of high glucose to the mix creates the perfect environment for poor circulation. Eating foods that are high in antioxidants, vitamins, and whole sources of fiber have been known to increase blood flow, as well as help in waste removal from the blood. Raw seeds, oats, citrus fruits, and leafy greens are fantastic foods to add to your weekly menu, bringing anti-inflammatory properties and much-needed minerals to the plate. As with exercise, speaking to your physician about diet changes (especially if a patient is diabetic) is imperative when trying to manage your circulation issues. If you’ve been honest and thorough when sharing your medical history, your doctor might be able to assign a more personalized diet to you that could provide you with a much speedier recovery than you had anticipated. If diet and exercise simply are not helping with circulatory issues, then medical or surgical intervention may be utilized. Certain diabetes, cholesterol, and blood pressure medications have been known to help with circulation, and medications that help prevent blood clots may be prescribed as well. Surgical options are angioplasty (inflation of a small balloon inside an artery), stents, artery bypasses, and surgical plaque removal. 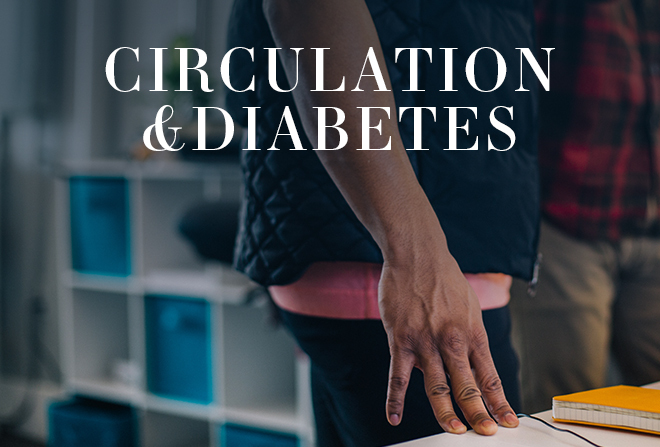 Managing diabetes and diabetes-related circulation issues go hand in hand. Many of the lifestyle changes demanded by diabetes are the same as the ones that will help improve your circulation: increased exercise, healthy diet, and not smoking. Simple changes like taking the stairs instead of the elevator or a quick walk after dinner can make an immense difference in your circulation.